The first time the Padang Melang Festival was held, it turned out to be quite a successful happening. 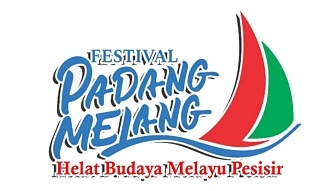 In fact, it was decided that, starting from 2017 onwards, the Padang Melang Festival would be held every year. The Padang Melang Festival in its current form is a 3-day event, with lots of cultural highlights, along with folk games, music and culinary attractions too. But there's time for environmental awareness too. In 2017, a mass release (Youtube) of baby turtles, locally known as Tikik,was organized in order to emphasize the importance of the protection, the foresight and the general care that are all a must if the Anambas environment is going to retain its flora and fauna diversity, its health and its unique beauty. Other environmentally-related topics brought to the fore during the Padang Melang Festival are the problems caused by the ubiquitous plastic, i.e. sampah and the illegal logging. Also discussed are the improvements required in Anambas' infrastructure, including transport to Anambas and transport within Anambas, as well as enhancements in the phone and internet network, all of which are vital for Anambas to fulfil its potential to become a world class paradise island holiday destination. With this in mind, it's clear to see that the Padang Melang Festival offers considerable economic cconsiderations too. What's more, it's a superb opportunity for local government and investors from within Indonesia, as well as from overseas, to meet in order to exchange thoughts, plans and ambitions. Other hot items included in these talks are the areas of Anambas considered worthy of financial injections on the basis of their tourism and recreational potential. 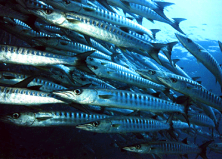 In fact, Anambas has been dubbed Asia's Maldives for a reason. Yes, it's high praise. But it is well and truly earned, given this timeless archipelago's wealth of natural treasures and simply breathtaking environment. Bottom line, the Padang Melang Festival is a great time to have fun and enjoy food, that's for sure. But the Padang Melang Festival is also an opportune time to reflect on the future of Anambas and, last but not least, an opportune time to seal a deal.